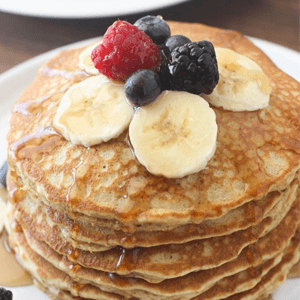 The BEST light and fluffy whole wheat pancakes that only take 5 minute to make! You will never make regular pancakes again! 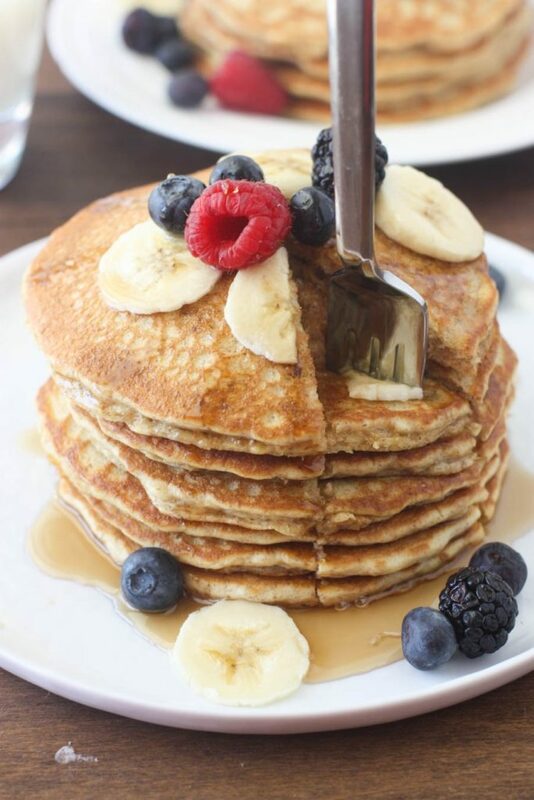 These are the best whole wheat pancakes, ever. They’re flavorful, light, fluffy and tender. 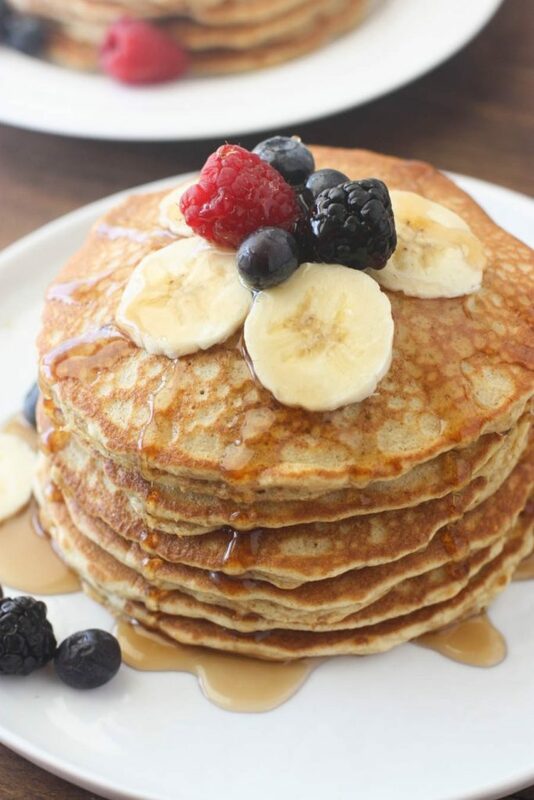 Whether you’re looking for a healthier pancake option or not (these protein pancakes are great too…) these pancakes will not disappoint. Add wheat flour and milk to a blender and blend on high for 3 minutes. Add remaining ingredients and blend until smooth.